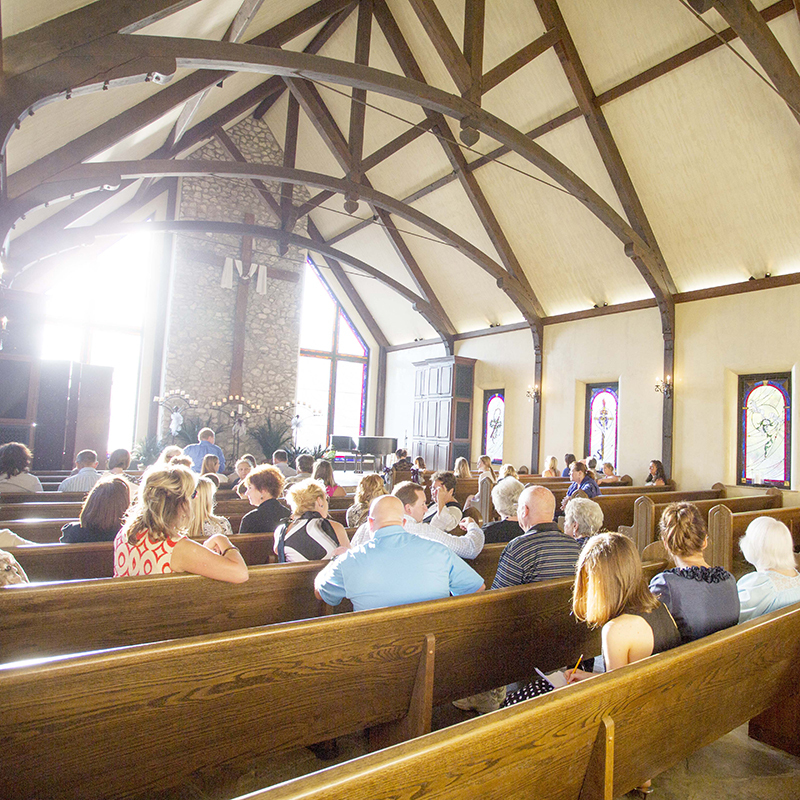 Chapel on the Creeks is an exceptional setting for weddings, memorial services, and special events. It is non-denominational and is dedicated to prayer and meditation. It is open to the general public from 8:00 a.m. – 5:00 p.m. Monday – Saturday unless reserved. 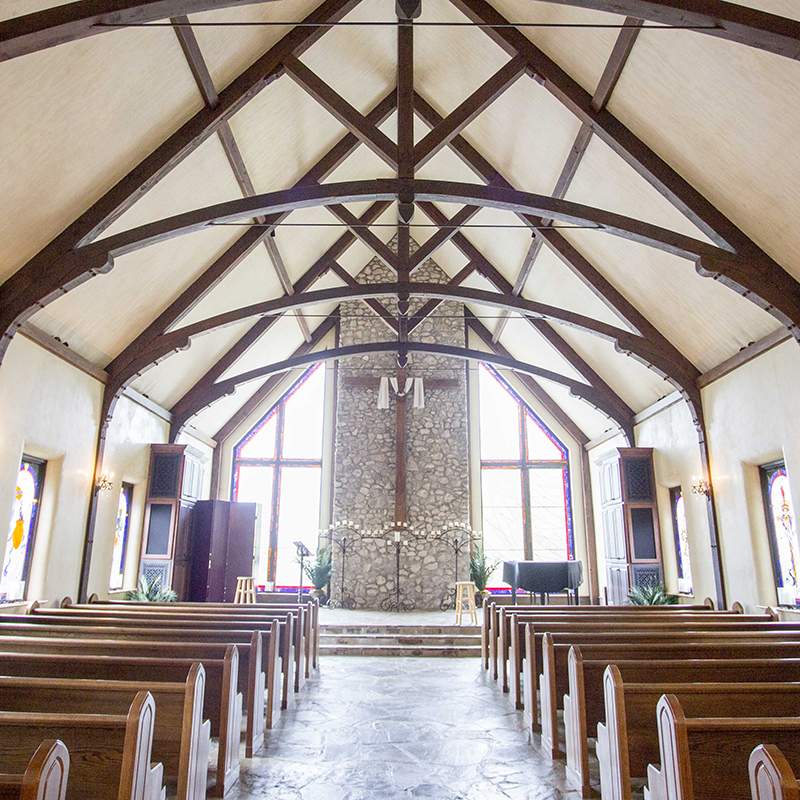 The chapel has a mission design with authentic Amish post-and-beam craftsmanship. Pricing for non-wedding events available upon request. 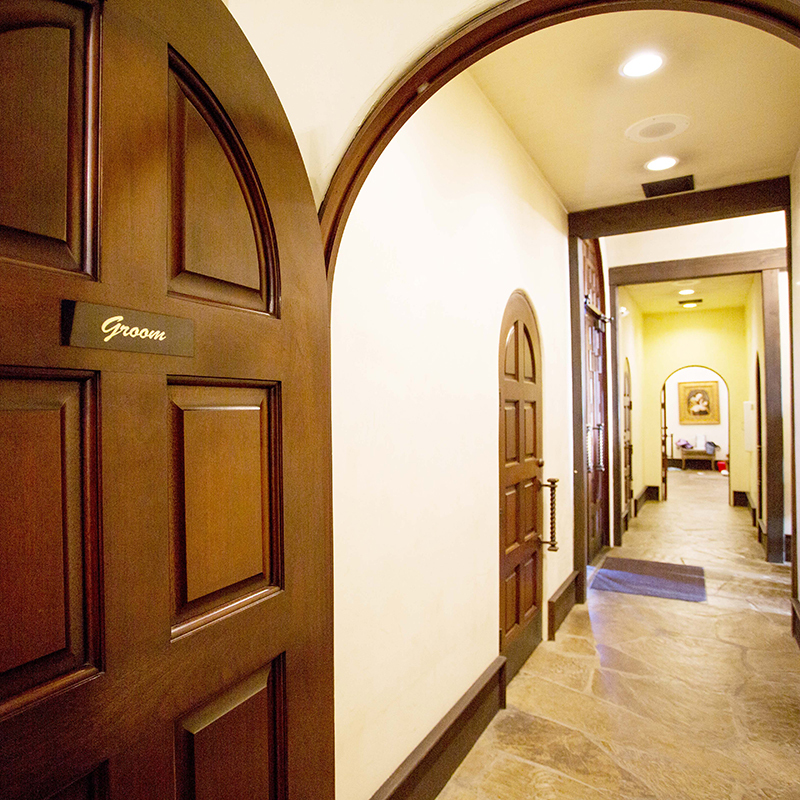 We require a non-refundable deposit to secure your date and time. The remaining balance is due thirty days prior to your event. 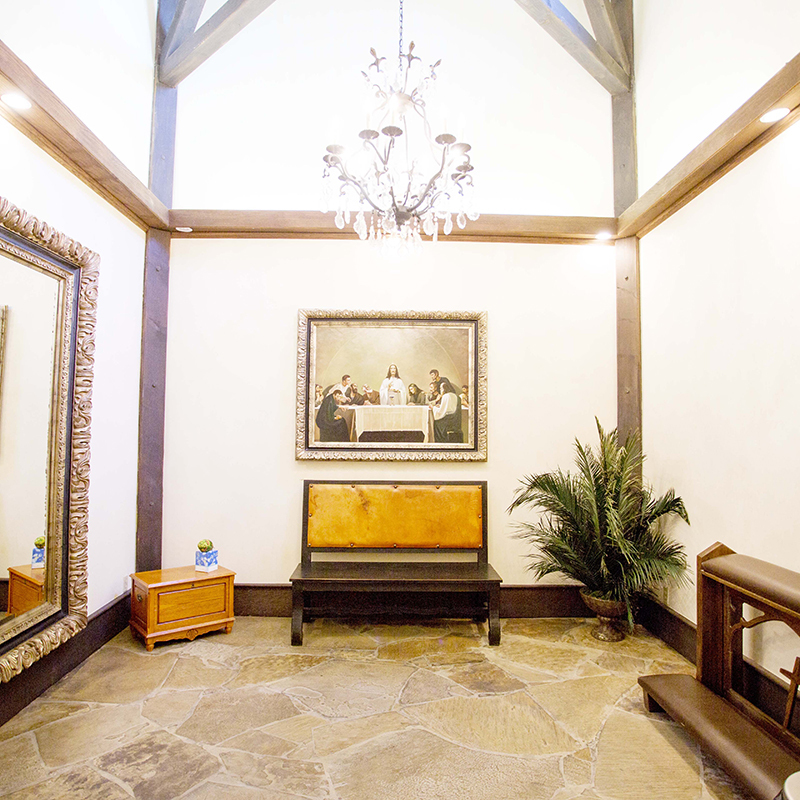 The Chapel and Gardens are available for photography by appointment only. There is a charge for photography sessions. Please call for information and prices. 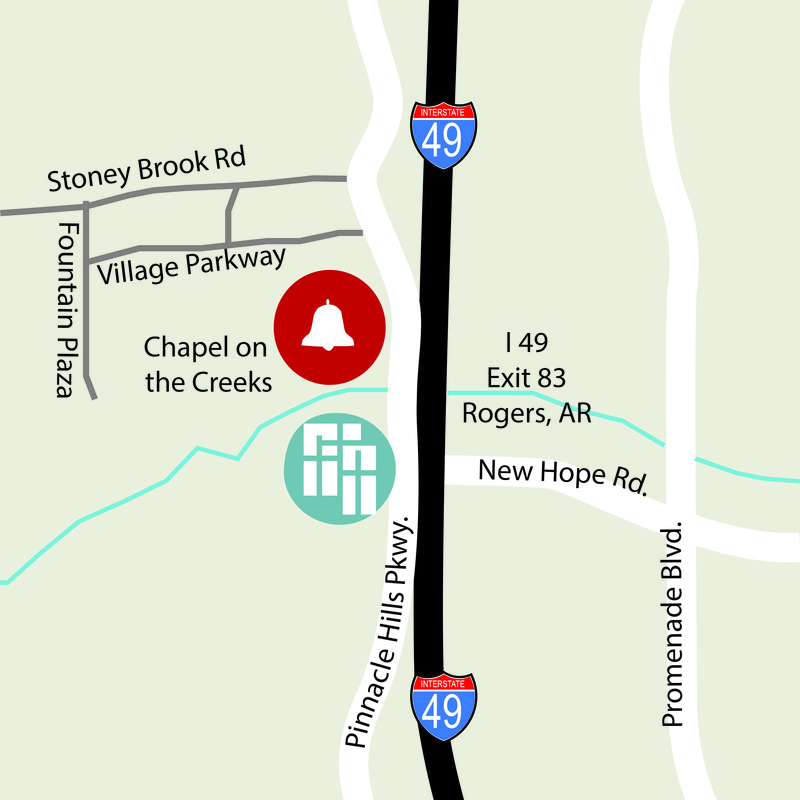 Take I 49 to Exit 83, Pinnacle Hills Parkway and 52nd Street.